This is an amazing story! The kind we could use more of! 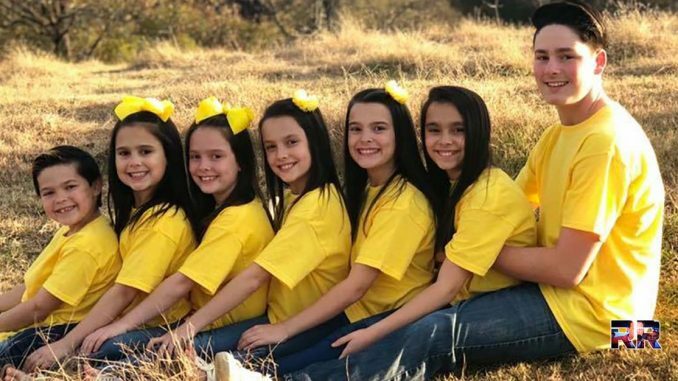 “A couple fought long and hard for a set of seven siblings in Arkansas’ Foster Care System, now those children have a forever home. Just days before Christmas the court finalized the Hawthorn family’s adoption. “Our first words were ok we’ll do it for a couple of years but we will not adopt,” said mother Terri Hawthorn. These were Terri and Michael Hawthorn’s words when they chose to become foster parents years ago. “Less than 35 hours until we share a last name???? Knowing that there are 7 little bodies asleep right now in my parents house is kind of surreal. They’ve had over 80 foster kids pass through their care over the years. Always coming and going.. but to know that these 7 children will grow to be young adults in their home, learning from us, and being influenced by us.. is a whole new feeling. “These kids did not ask to come to foster care, four or five different homes, or schools,” said Terri. Share this if you’re happy for these kids & glad there are people like the Hawthorns in the world!